When it is time to replace your bathroom tiles, you must prepare for the possibility of you getting overwhelmed by the sheer number of choices and varieties. With a large option of materials including colours and patterns, you should select carefully the tiles that will reflect your preferences and personality. Modern-day tiles are versatile enough for use both on the floors and wall, the purpose of which is to create a modern bathroom look. Carpeted floors and wallpapered walls are very much out of the trend today. 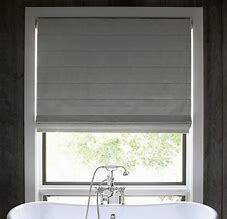 1 – Be sure your bath remains the standout feature. For instance, if you have a bath adjoining one or more walls, the best way to give it a stand out appeal is by tiling the surrounding area of the tub. By merely adding a white tile or even a travertine-style or beige-coloured wall tile it will highlight the area making it more appealing. 2 – Work with the shower enclosures. 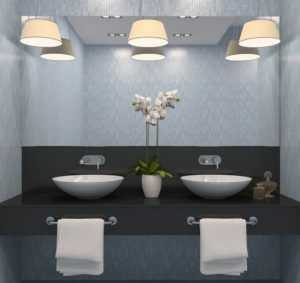 You don’t have to worry if the inside walls of your shower enclosure will not follow the rest of your bathroom when it comes to tilling design. Instead, why don’t you pick a slightly different colour or even type of material? Colours such as light blues or contrasting whites, blacks, greys, or browns could work well in this situation. Aside from that, you can create different patterns that will suit your likes and wants. 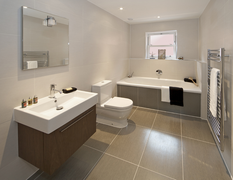 3 – If you have a small bathroom, use small tiles. One of the significant things that you should consider before purchasing and installing a tile is its size. If your bathroom is small, don’t use large tiles because it will make your bathroom look much smaller than its actual size. Instead, you can use smaller tiles which is plain that will help your bathroom look particularly appealing. Its only downfall is the fact that you have to spend more time and effort for the actual tiling. The tiles you are going to install is smaller that’s why you have to put extra effort into the tiling process, but all of those will be worth it once you see the result. 4 – Carefully pick the colour. Lastly, it would be best if you carefully chose the colour of your tiles. 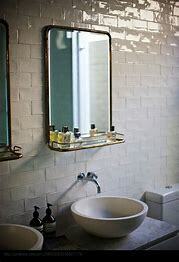 If you barely spend time in your bathroom, there is no sense in buying expensive tiles when plain ones can do the job. Also, if you have a family bathroom, you can use bolder type or simple primary colours so that it will look more like a child-friendly. However, if you have older kids at home, you can style your bathroom with a conscious colour scheme like gorgeous grey glazed tiles or contrasting wood effect tiles. Whatever reason you have, it is essential that you should think thoroughly what type of bathroom tiles Adelaide will work best for your bathroom. Our consultation process is not only friendly but it’s all about what you want. 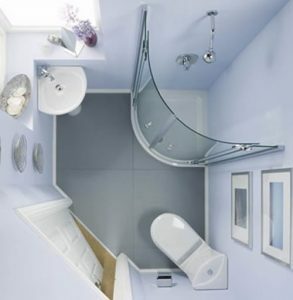 Your consultant, Peter or Tony, will listen to you to find out exactly what you want from your new bathroom. They have many years experience in all types of bathroom renovations including ex-government houses, old aged, disabled, kid-proof and more. 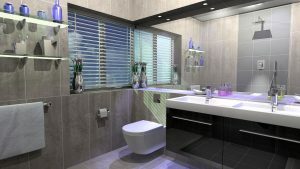 Your consultant will then provide ideas and suggestions for your renovation to ensure your personal requirements and vision for your new bathroom is achieved. Before your renovation has even started, you will meet your friendly on-site foreman, Peter. He will be on site every day to coordinate all of our talented tradesmen and ensure your renovation flows smoothly. Peter will be your point of contact for all aspects of your renovations once the construction process has started. He is also your go-to man if you’d like to make any last minute changes or if you simply have a question about anything happening during the renovation. Peter will liaise with you about specifics, such as where you would like your towel rails installed, what colour paint you’d like us to use, to the important stuff like how big you’d like your new shower to be!